Kotaro Abe, Yasuaki Kakehi: Ambient Camera: Who released the shutter? Ambient Camera: Who released the shutter? Ambient Camera: Who released the shutter? is a compilation of short videos made of photographs that were taken with a camera controlled by a Geiger counter. In this work,the camera releases the shutter whenever the Geiger counter detects radiation. Thus, these photographs are taken not by a person’s will but by an environmental factor. We have made several short movies by arranging these photographs in particular methods. Ambient Camera: What released the shutter? includes three types of movies. The first movie simply shows the photographs at a consistent frame rate, similar to a slideshow. The more frequent radiation is detected, the smoother the movie will be. In the second movie each photograph is shown according to the interval when the radiation was detected. We can sense the amount of radiation as the pictures change in an irregular rate every few seconds. The third movie is an alignment of photographs that were taken during the same appointed time, but in different locations. From this movie we can compare how often radiation is detected among different locations. 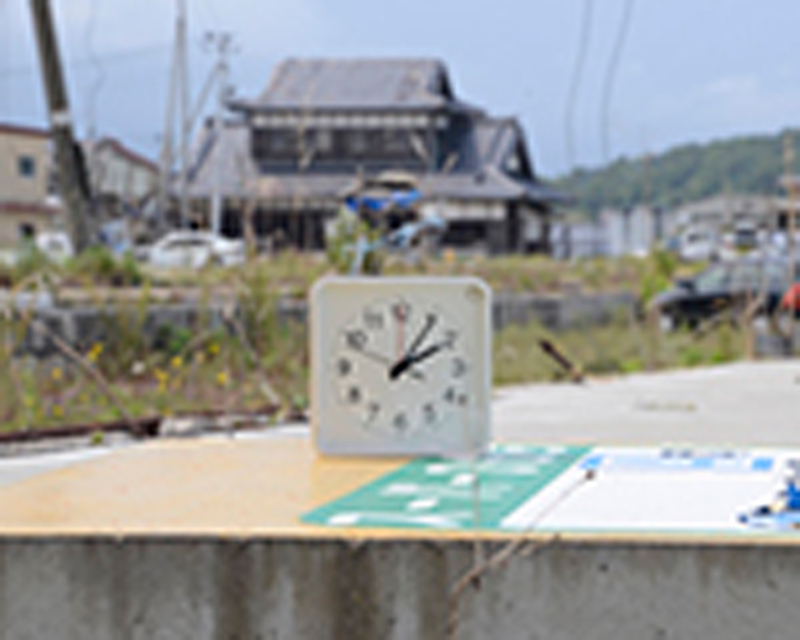 Immediately after the Great East Japan Earthquake and Fukushima Daiichi Nuclear accident that occurred on March 11th, 2011, there was an abrupt increase in awareness of radiation around the world. While time has passed since the incidences, people still cope with this “Invisible radiation” in different ways: some try to face it, some try to avoid it and others have simply forgotten about it. This work is a scene of our daily lives that has been recorded by radiation, is an indication of how we deal with radiation and may also be a reminder of radiation itself. ASIA2013_Abe_Kakehi_AmbientCamera from ACM SIGGRAPH on Vimeo.